Albert Whitman & Company, 9780807551462, 96pp. Being mindful won’t take away your problems, but it can help you handle them. 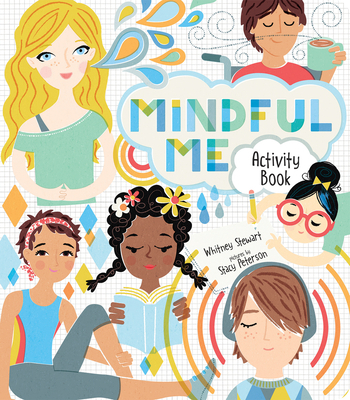 In this activity book, kids will learn to settle their thoughts and look inward through a series of fun writing prompts, games, and meditation exercises. Serving as a guide to reflect upon the lessons learned in Mindful Me, it offers kids a place to record their reflections, creating a tangible account of how far they’ve grown in their meditation practice. Whitney Stewart is a children’s book author, meditation teacher, and a born adventurer. She has traveled to Tibet, Nepal, and India and teaches mindfulness at Tulane University and to children and teens. Her most recent children's book is Meditation is an Open Sky: Mindfulness for Kids. She lives in Louisiana with her husband and son. Stacy Peterson is a full time illustrator of greeting cards, magazines, and dozens of books including School RULES, Friends: Making Them & Keeping Them, and The Awesomest, Randomest Book Ever. Formerly, she was an art director at a New York City ad agency. She lives in Texas with her family.